After all the discussion of rules, regulations and politics, it is a welcome break to turn to the final test sessions in Jerez, the Last Chance Saloon of McLaren, Renault, Williams and Brawn GP. Just in case we thought we had it all worked out after the Barcelona test, these four teams have complicated things by setting some unexpected times, casting doubt upon many of our comfortable assumptions. Chief amongst these has to be our certainty that McLaren will be in trouble in the early GPs. Each day in Jerez the MP4-24 has gone faster, apparently eroding Barcelona's 1.5 second gap between itself and the other cars, and today Kovalainen has put in a 1:17.946 lap, which implies that the McLaren is now quick enough to be a factor in Australia. In the meantime, however, the Williams has been behaving as if released from the leash, Nakajima throwing in a stunner of 1:17.494 this morning. What can it all mean, if it means anything at all? The short answer is that we will not know until the cars hit the track in Melbourne but we can play with the known facts in the meantime. 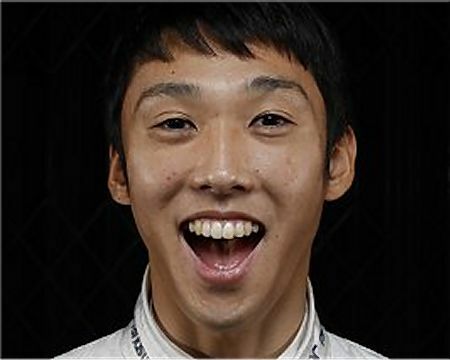 Nakajima's time was set in the middle of a 3-lap stint - a low fuel run therefore. That would indicate that Williams has not been trying for quick times until the last minute, preferring to get the car thoroughly sorted before seeing what it is capable of in qualifying trim. It is a very BMW-like approach (I am sure we have not seen the best from the Beemer yet) and chimes nicely with Williams' no-nonsense ethos. This leaves the McLaren still half a second behind the Williams - an improvement over Barcelona but not enough to threaten the front row in the early season. There are factors such as track conditions and weather to be taken into account as well, so it may not be valid to compare the latest times with those from the opening days in the session. The present good weather in Jerez may well be flattering the last two cars remaining. The two departed teams, Renault and Brawn GP, set some good times too, suggesting that Renault has now honed its car to be a worthy contender and Brawn still setting the pace with Button's 1:17.844 on Tuesday. The extent of the Brawn's advantage becomes staggering if we believe the team's assertion that they have not done any qualifying simulations so far. It all seems to indicate that we have one team, Brawn, up ahead, then a huge bunch of cars in a grossly enlarged midfield, followed pretty closely by Force India bringing up the tail yet again. You can bet that there are still some surprises to come in Melbourne, however, and I expect that the midfield will break up somewhat, one or two teams accelerating to join Brawn at the front, while others fall away a bit to keep Force India company. My guess (and it's a wild one) is Brawn and BMW in the lead with Ferrari and Renault at their heels, then Toyota, McLaren and Williams brawling in midfield. I expect Red Bull, Toro Rosso and Force India to be fighting for the wooden spoon, probably in that order. Which all goes to show that testing is no substitute for the real thing. We have a week to go until the show opens in Australia, a week of withdrawal symptoms reaching a crescendo as we long for it all to begin. Oh, the trials of being a dedicated F1 fan. Can we have details about the McLaran stint when it did the fastest lap? Also I had this question when i opened the page, and what a coincidence of you writing the last line? why can't the teams breakaway? get organiser company for the races, lesser ticket cost so more money for the organization, someone to police the teams with the leader chosen democratically, and since the track won't have to pay the sultan of brunei's fortune (err 199 mil) to hold a race, better tracks, better spectacle, money from the media, and currently no concorde agreement. I think things can't become better than present to break away from the idiots' clutches and give the motor racing fans a real treat!!! Neil: To quote yourself, "Well, welcome to F1, where madness is the norm and those with sanity are considered insane." I like to read about other forms of motorsport, especially when the writing is as good as yours, Neil - reminds that there are still areas of life where sanity can be found. When Patrick told me your blog was up and running again, I went and updated myself and I see that you are now one of the legendary few - you have driven the Corkscrew at Laguna Seca! Even F1 fans know what that means and we bow before you in awe and admiration. Oh, and congrats on your engagement, too. May the two of you have a great life together in your mutual enthusiasm for motor sports! Arun: That's all I know, apart from the fact that the time was set in the morning session. You can bet that it was a low fuel lap, however, as was the Williams'. The war is getting hotter with Luca making ever more incensed remarks about the changes and Bernie saying that the team owners are asleep (more about that in today's post). It seems to be building up to a titanic battle and there will be plenty of articles to be written as a result, be assured! As to the teams forming a new series, I have looked at this in the past but become more pessimistic about it as time goes on. The difficulties involved are immense and, as Alianora points out, there are legal and contractual hindrances too. I think the teams will do their utmost to avoid taking that route and might leave the sport altogether before doing so. And that is a real danger, not helped by the intransigence of Max and the abusive statements of Bernie.